I'm from Chevrolet! The rest is a mystery! No one knows exactly where Swerve came from, how he was made, where he was sold, or anything else, really. He's a bot shrouded in mystery and likes it like that... maybe. No one's managed to ask him yet. He remains extremely elusive and most people have never even seen him. Prelude: Many thanks to LimeWire, who loaned me Swerve for this review. Robot Mode: At first glance Swerve is just another hood-as-chest car Transformer, nothing spectacular about him. We've seen a hundred and more like him. But while that is true, Swerve manages to make the most out of that often-used concept and ends up being a very nice robot. Swerve is very nicely made, starting with his head, the very nice hands (not the standard fist-with-hole-in-it), and the unique configuration of the legs (the rear fender actually ends up in the hollow of the knee). In the case of Swerve's robot mode, getting there is half the fun. The robot also has a nearly full range of movement and is nicely balanced. He can pull off the kicking pose among other things. Swerve is one of those robots that is a whole lot more fun when you actually hold him in hand instead of just looking at pictures. And not just because he's that exact shade of red that doesn't photograph well at all. So the bottom line is: Swerve might seem boring at first glance, but he's a solid, fun robot when you've actually got him in hand. Alternate Mode: Swerve transforms into a Chevy Aveo. The actual Aveo, in fact, not just a car looking almost like it without having to pay any licensing fees. Since Chevrolet apparently owns the rights for this Transformer, he can transform into the actual car. He does a pretty good job of it, too. Nice exterior, transparent windows, Chevy symbol on the front, everything fits together well. Can't write much more on that, though. A nice, solid car mode. 'Nuff said. Remarks: Swerve was a mystery from the beginning. The first samples turned up in 2007, carrying the logo of the original Universe series. Rumours later had it that he'd be an exclusive available only when buying a real-life Chevy Aveo (or maybe test-driving one). It was only at Botcon 2008 that Hasbro confirmed that this Transformer was produced exclusively for Chevrolet, who own all the rights to the mold. One could apparently order them through the Swiss Chevrolet website at some point, but that didn't last long. 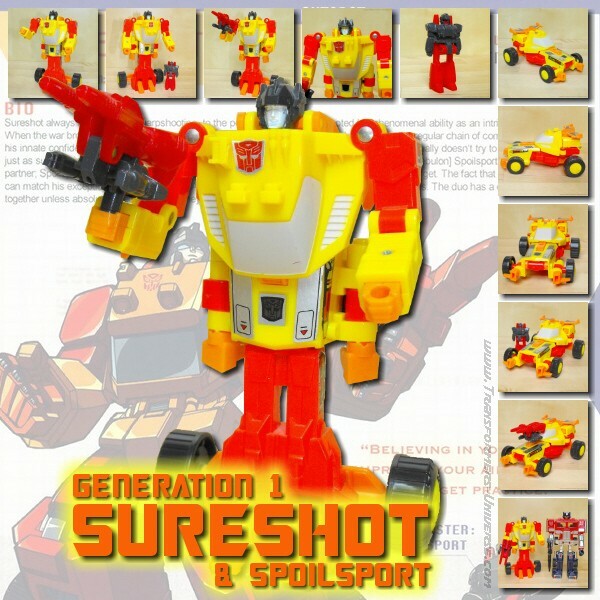 Swerve was never officially sold in any store and only a few pieces of him made it to ebay. So he probably remains the most elusive and mysterious Transformer ever, at least when it comes to the actual toy's history. As a toy, however elusive, Swerve is pretty cool. Like I said, we've seen a hundred and more of those hood-as-chest robots in the Transformers' long history, but Swerve has really done a very nice job using that old concept and ends up a very nice, fun robot. If you by some quirk of fate get the chance to get him, then do it.